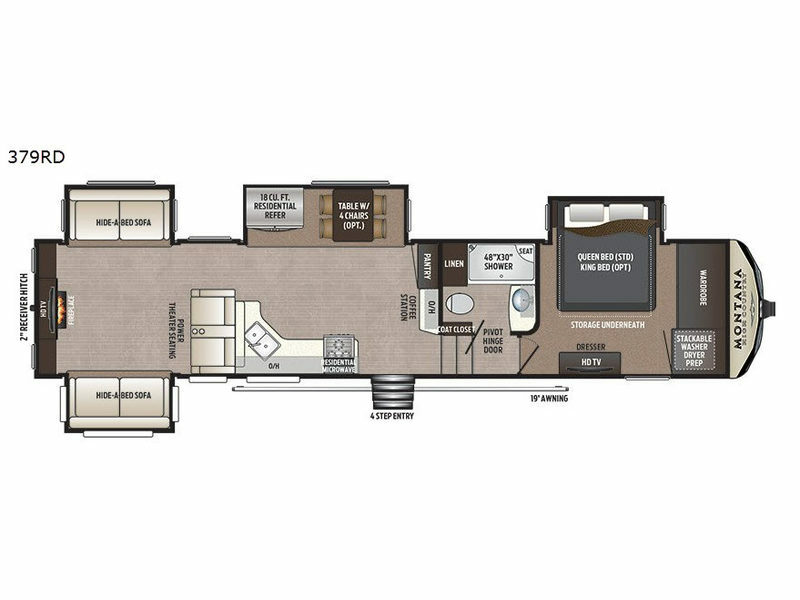 This four slide out Montana High Country fifth wheel will have you daydreaming about relaxing in the rear living area while watching the HD LED TV above an electric fireplace. You can choose from dual hide-a-bed sofas or the power theater seats to sit back and relax and/or sleep. This rear den provides a great space to entertain other campers as well. 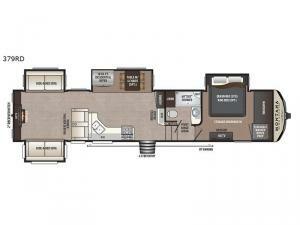 The separate kitchen area provides a coffee station, a large pantry, and a 18 cu. ft. residential refrigerator, plus full amenities to make any meal. The shiplap design headboard provides style to your queen bed while you enjoy the HD TV after putting your clean clothes into the dresser or wardrobe thanks to the optional washer and dryer you decided to add. You have other options to choose from such as adding a free standing dinette in place of the booth dinette, or choosing a king bed. This is the one, you can stop daydreaming!